Love Hack: How to Get More Time and Attention From Your Man! Do you find yourself thinking about how your man isn’t giving you the time and attention you want – whether it’s someone you’re dating, your boyfriend, or your husband? While it may seem as if you are simply “being honest” or “sharing your feelings,” the truth is that there are a few words that describe those kinds of statements: nagging, complaining, and criticizing. Now, before you scroll down to write a comment to tell me off or give me all the reasons why this IS how you feel, hear me out. I get that you want to spend more time with him. Chances are that, when you see him spending less time with you, it triggers some fears and doubts in you about how he really feels about you. In fact, you may even have asked him how he feels about you (something I’ll cover in another post!). I really do hear you. So, how can you say what you feel WITHOUT nagging, complaining, or pushing your guy away? I know… Those are pretty vulnerable statements and it’s scary to be vulnerable, especially if you’re questioning how he feels about you. 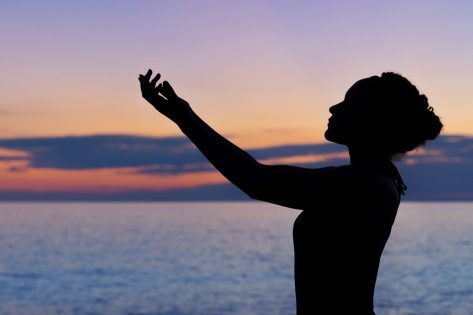 However, if you close your eyes, take a deep breath, and breathe deep into your heart for just a minute, you’ll see the truth in them: This is how you really feel. What’s even better, if you share your feelings with him this way, he’ll actually be able to hear you! And that’s what you really want, right? See, the truth is that there isn’t a man on this planet who has EVER been inspired by nagging, criticism, or complaining. These statements are simply not inspiring or motivating. In fact, you’ve probably noticed that they have the opposite effect, making him pull further away from you, and they don’t really do much to change the situations… Which has you bring it up again, and again, and again, with NO different results. If this has been your experience, we’d like to invite you to try something different! These statements are A LOT more inspiring, they let him know how you are feeling, and they will allow him to hear you. Oh! And don’t be surprised if he begins spending more time with you! If you’re feeling like you’re not getting the time and attention you want from your man and you’d like support and guidance on how to turn things around, we’ve opened up some time in our calendars for you to schedule a Love Breakthrough Session with one of us. On this call, we’ll help you see what is getting in the way of you having the kind of experience you want to have in dating or your relationship, and we’ll create a step-by-step plan for you to follow so that you being to experience the love and happiness your heart desires! CLICK HERE to schedule your Love Breakthrough Session! Love, dating, and relationships do NOT have to be hard. They are easy when you know exactly what to do and say to get the results you want without having to force, nag, or “get him” to do what you want! Let us help you! Schedule a Love Breakthrough Session and get the love you want! The other day, I received a beautiful gift from one of my clients, Katie. She is a talented artist and jewelry designer with a wonderful sense of humor, and, in her beautifully creative way, she drew an illustration to go along with her testimonial about how she went from being a 40-something, cat-loving, divorcee who had lost hope in finally finding her true love to a now blissfully happy bride-to-be! I was so moved by the gift that I knew I had to share it! So, here it is — Katie’s testimonial on why she didn’t end up marrying her cat! Your married friends, your parents, your grandparents are all telling you to stop being so picky and settle down and get married. 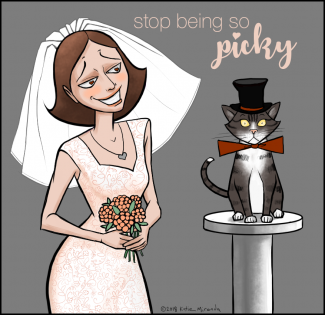 They tell you to “stop being so picky,” but what does that mean? Does it mean “settling”? No, not at all! It means expanding your horizons and letting go of limiting beliefs. Here’s an example of what that meant for me. So, there I was in 2015, a 40-year old woman, and the ink was just drying on my divorce paperwork. “Doomed to a life of cat lady spinsterhood” was the expression I saw on other people’s faces when I told them my age and marital status. But I wasn’t giving up. After all, now that I was divorced, I finally knew what wanted and DIDN’T want, right? I hired Gladys to help me, because she had what I wanted: a happy, stable, long term marriage. I knew I could learn from her. Tall order, you say, for a 40-year old divorcé? The thing is, these were non-negotiable for me. 1) I had to be attracted to him. 2) Since I am Muslim I wanted to meet someone who would fast Ramadan with me, go on the hajj pilgrimage with me and do our prayers together. It was a matter of sharing the same values and being on the same page and I couldn’t get that with a non-Muslim. 3) My ex-husband was dependent on me financially and this caused a lot of problems in the marriage. I knew I didn’t want to go through that again. 4) What this meant to me is that I couldn’t live with a couch potato or someone who smoke or drank. I’m active and healthy and I wanted someone who shared these values. 5) I did not want to live with someone else’s kids or to be put in a step-mother role Not that there is anything wrong with that. It just wasn’t for me. These things, weren’t “checklist items” for me. 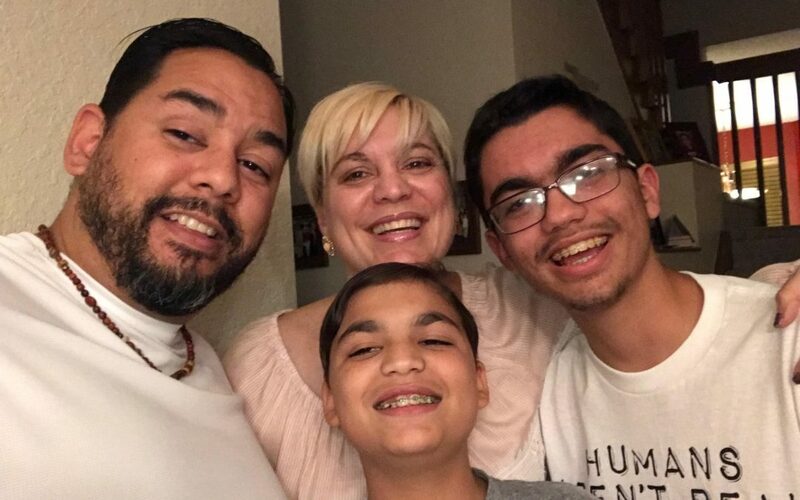 They reflected the values and character traits that I wanted to attract in the man of my dreams – a man who was spiritual, trustworthy, responsible, and ambitious. I wanted to share my life with a man I could trust and who inspired me. 6) He has to have been born or at least raised in the US. You see, my ex-husband was not born and raised in the US and I believed that one of the primary reasons for our divorce was a clash of cultures. (In reality, that wasn’t it, it was that he didn’t fit with some of my primary values.) I was dead set on never considering anyone who hadn’t been in the US for at least their teenage years. And no Saudis. Definitely no Saudis. I have a girlfriend who was married to a Saudi and the horror stories she told… Wow! Can’t have any guy telling me I have to cover my hair or that I can’t drive a car, right? By the time 2016 rolled around, I had met and chatted with quite a few men over various Muslim and non-Muslim apps and sites. 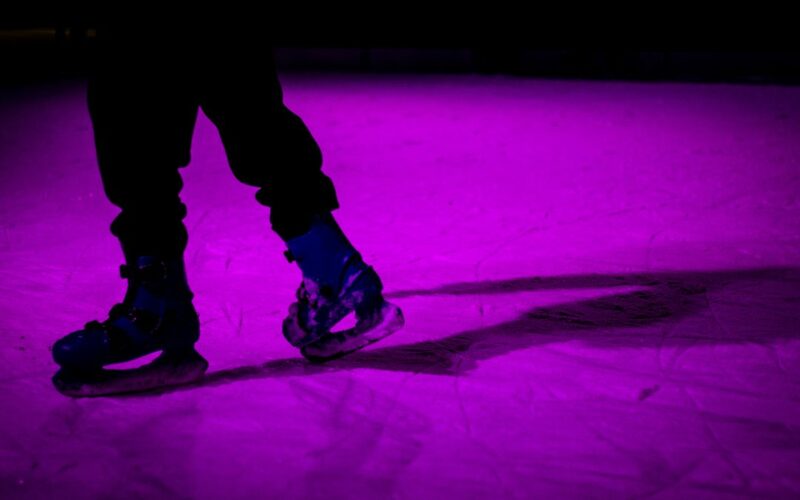 No one was a good fit; I was wracking up quite a collection of my own horror stories. And then on Twitter, of all places, a cute guy DM’d me after I posted a photo from a café in Portland I had been to that day. He said he had also been there that day, but we had not seen each other. We chatted a little and then he asked me out for coffee. I looked at his profile and it said he lived in Al Qatif and Portland. I didn’t know where Al Qatif was, but I took a guess it was in Saudi Arabia and, sure enough, it was. Oh no, not a Saudi! Too bad, cuz he was cute! And it seemed we had a lot of shared interests, judging by his Twitter timeline. That’s the thing with Twitter, you can actually get a pretty good idea of what the person is actually into. He was into hiking, and nature, Bernie Sanders, cats, and women’s rights, just like me! Hmm, not exactly my stereotype of a Saudi… I wonder…. I cautiously agreed to go out to coffee and told Gladys I was concerned that he wasn’t born in the US and what would we truly have in common. I wanted to be able to sing the 80’s pop songs I grew up with in the car with my future husband. I thought this was a non-negotiable quality. In reality, it was an ego-based quality, not a values-based quality. The funny thing is, one day we were in the car and he was singing something over and over.. “It’s a croo, croo, croo summer, leading me hero…” Eventually, I figured out that this was his interpretation of Bananarama’s “Cruel Summer,” a song he heard constantly growing up because there was an American radio station in Saudi Arabia. We had a good laugh about that. Fast forward a year and a half, and we are planning our wedding! He is everything on my primary list and more. Oh, and he really loves my cat too! If I had nixed him because he didn’t grow up in the US or because of my prejudices about Saudis, (I’d only ever met one Saudi before him, by the way! ), I would have nixed the love of my life. When I hear women saying, “Well, he has to be a Pakistani, like me” or “He must be my exact religious sect”, or “He has to make a certain amount of money per year”, or “He has to be at least 6 feet tall,” I wonder what kind of amazing guys they might be missing out on. What if the man of your dreams makes $5000/year less than your requirement, or he is 5’11”? Are you willing to miss out on the love of your life based on some numbers? These are ego-based desires, not values-based desires. Just like my desire to meet and marry a man who was raised in the US. Gladys helped me figure out what my desires were that were values-based so that I didn’t get caught up in ego-based desires and decline that date with my future husband. The month before I met my fiancé, I asked Gladys what the one quality her clients who met the man of their dreams all shared. She said it was the belief that they would meet him. That really stuck with me and I committed to believing I would meet my future man, and I did! Good luck to all the single ladies out there. I know how hard it can be. If you truly believe you will find your match and you’e willing to let go of limiting beliefs about what that person has to be, you will. And, if you need help, like I did, talk to Gladys! If you’re tired of letting your fears and doubts stop you from experiencing the love that you truly desire, we invite you to schedule time to speak with Michelle or me so that we can help you break through your fears and break through to love! She’s a Liar… And She’s Fooling You! This makes us sooooo angry! 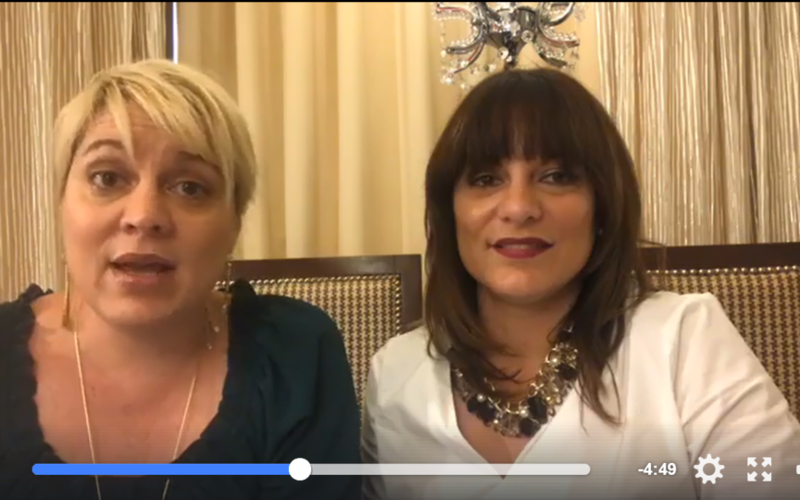 Michelle and I are usually pretty level-headed and open-minded, but there are some things that set us OFF, especially when it comes to the LIES that are being told to women who are looking to attract and keep a great man. We started talking about this yesterday, particularly to how it relates to some of the best-known reality TV shows, and, as we started talking about the lies and misinformation being “taught” to women by supposed “experts” and “gurus,” we got a little heated. See, we know what works when it comes to helping successful, professional women find the kind of lasting love they want with a wonderful man. And it doesn’t have ANYTHING to do with ANY of the garbage that is being taught out there, especially when it comes to one show in particular. 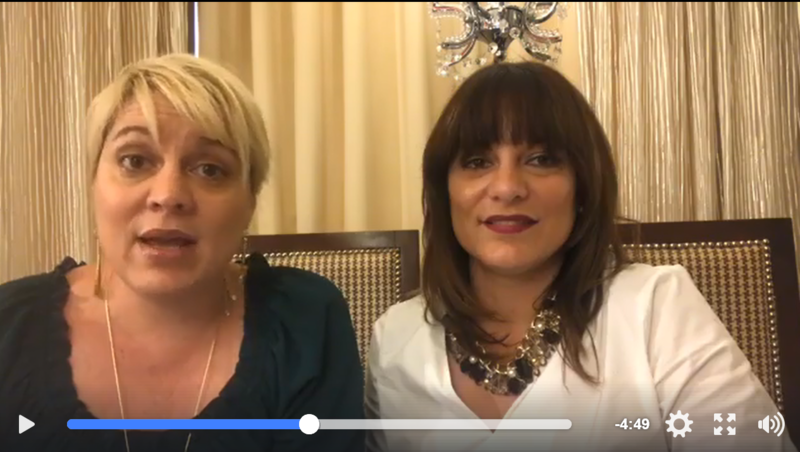 Well, rather than go on another rant, I think I’ll just share the one Michelle and I recorded in a Facebook Live session. Warning: It’s a bit controversial. Not everyone may like it. And, frankly, we don’t care, because the work we do is way too important to let stuff like this go unaddressed! P.S. Feel free to comment, whether you agree with us or not. We’re open to having a conversation with you about this. And make sure you SHARE it. We’ve got to get the word out!